Nutrition-focused genetic testing coming soon! Standard cholesterol testing only gives you part of the picture leaving many people with "normal" cholesterol numbers unaware that they are still at risk for a heart attack. Cholesterol is carried throughout the body in little balls called lipoproteins. 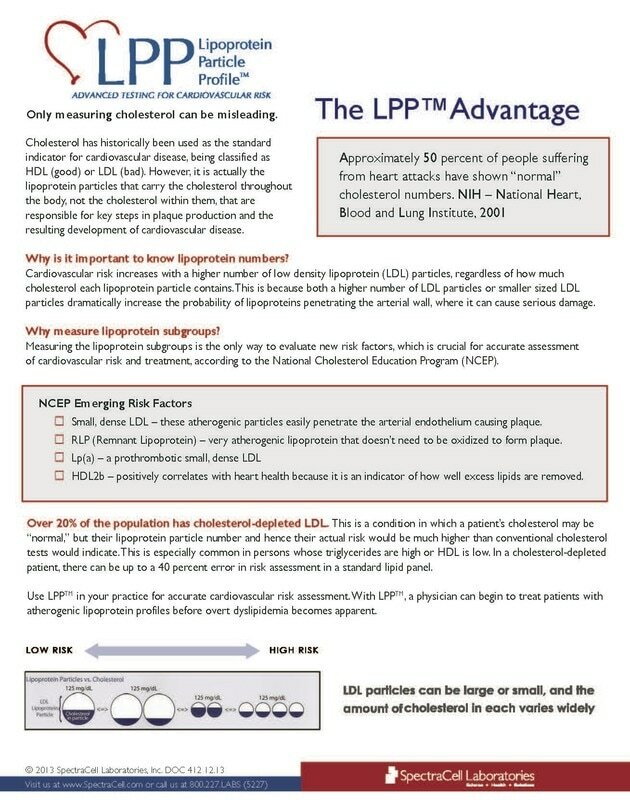 It is the lipoproteins, not the cholesterol in them, that leads to clogging of the arteries. 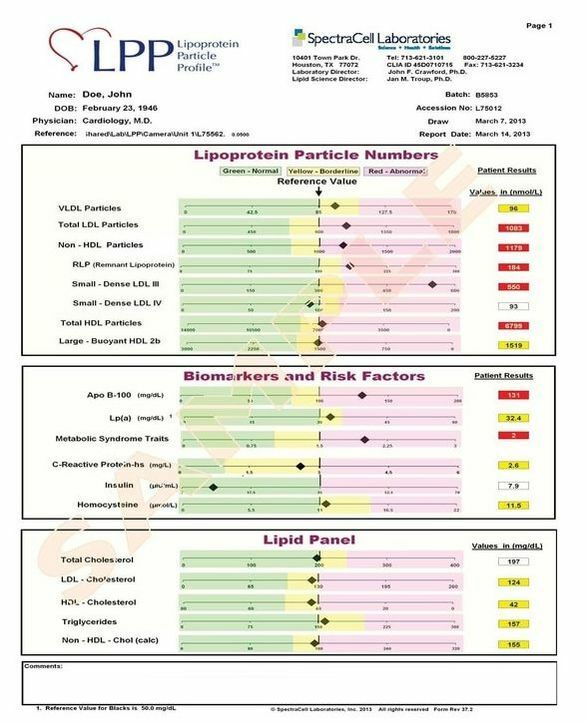 This test accurately measures both the density and number of lipoprotein particles, revealing potential cardiovascular problems that are often missed when only using a standard lipid panel.